One of the most common clichés about success – that it is a journey, not a destination – has concealed one of its most defining qualities. Success really is a dynamic and ever-moving process. It is about making the right moves at the right time. In this absorbing and uplifting book, Jag Shoker – a leading performance coach to business leaders, sports professionals and creative performers – brings the science and inspiration behind success to life. He reveals the 7 Master Moves that combine to create the high performance state that he calls Inspired Movement: the ability to perform an optimal series of moves to create the success you desire most. 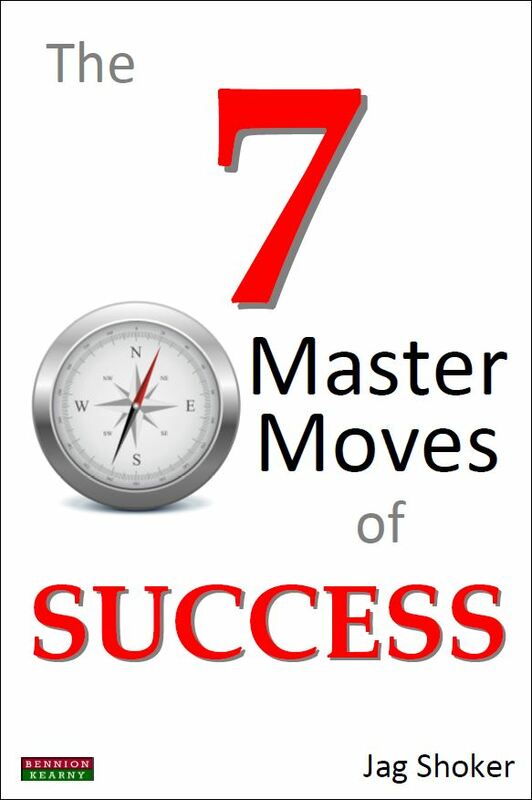 Drawing widely on scientific research, his extensive consultancy experiences, and insights into the successes of top performers in business, sport, and entertainment, 7 Master Moves is a synthesis of the leading-edge thinking, and paradigms, that underpin personal performance and potential. Building upon key research in fields such as neuroscience, psychology, expert performance and talent development – 7 Master Moves represents an evidence-based ‘meta’ theory of what really works. Compelling to read, and easy to follow, the book incorporates a strong practical element and shares a number of powerful and practical exercises that can help you apply each Master Move and achieve greater results in your life and work. Regardless of your profession or passion in life, the 7 Master Moves will reward those who are prepared to work hard to achieve the success that matters most to them. Jag Shoker is a leading performance coach and the founder of Inspired Movement TM – a high performance coaching and consultancy business for business leaders, sports professionals and creative performers. Drawing upon an extensive background in both business and performance coaching, Jag uses his unique Inspired Movement performance model to help talented individuals and progressive organisations to achieve greater success. Jag is also an engaging and energising motivational speaker who shares his deep understanding of the principles behind success and high performance with a diverse range of audiences.